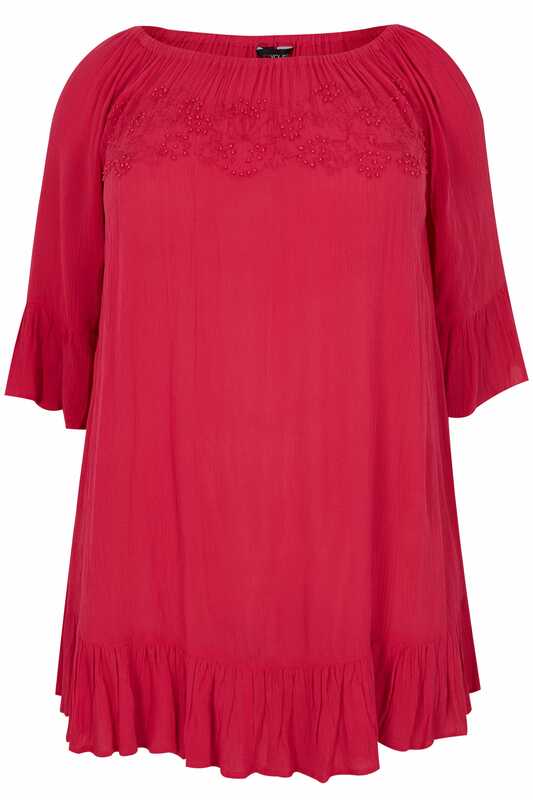 This super chic gypsy top is made from a light, cool fabric that is designed to float loosely over your curves to give a relaxed fit. 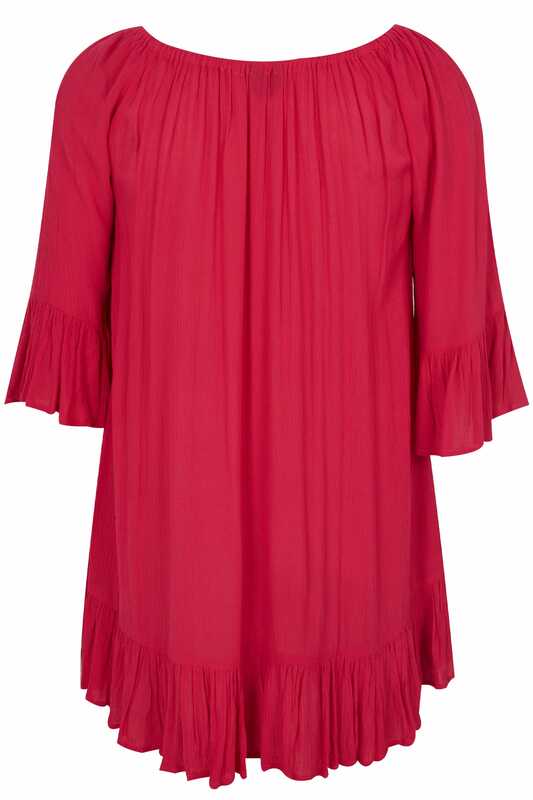 Featuring an elasticated shoulder band that can be worn Bardot style, its longline style is flattering too. Team with skinny jeans and fringed accessories for an on trend boho look.